The Certificate Program in Learning for Sustainability (LfS) is designed to develop competencies needed to wrestle with complex real-world problems and sustainability challenges. Students will be engaged in learning how to explore the complexity of human cares and situate that inquiry in the context of factors impacting quality of life and the state of the planet. Participants will develop new skills in systems thinking and modeling; understanding and evaluating the ecological and social impacts of transport, housing, energy, food, water, forestry, healthcare, financial, and manufacturing systems; critical and anticipatory thinking; mindfulness; awareness of place; empathy; problem posing and problem solving; planning and decision-making; designing and evaluating interventions to enhance well-being (products, policies, social innovations, enterprises, etc. ); transformative change; collaboration; and social learning. 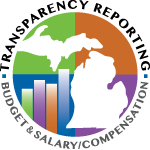 The Certificate Program in Learning for Sustainability is open to all WMU graduate students who wish to augment their program of studies and anyone possessing an undergraduate degree that seeks expertise in sustainability studies (as a stand-alone certificate). The program is designed to dovetail with existing masters and Ph.D. programs and serve as a catalyst for real-world problem solving focused on fundamental conditions impacting the quality of life. Designed to facilitate faculty and student engagement from diverse areas of specialization, the program is intended to draw upon the knowledge and wisdom of all disciplines and to serve as a new model for university-community collaboration and social learning. Centered in the Graduate College, the program functions as a living, learning laboratory for the development of new approaches for teaching and learning about sustainability concepts and principles; design and rapid prototyping of social innovations; design, evaluation, and marketing of green products and services; quality of life/well-being research; modeling, simulating, and testing promising policies; creating public-private partnerships; catalyzing transformative change and collective impact; and training. It is also intended to serve as a regional incubator for those seeking to develop the competencies needed to explore the challenges and promise of a sustainable future, and to contribute to the growth and renewal of vital connections across and between both the academic and wider communities. The certificate program features a unique approach to cross-college collaboration that draws on best practice research of leading sustainability graduate programs and global research on sustainability core competencies. It will employ evidence-based research, structured learning outcomes, and reflective assessment to facilitate continuous improvement. The program includes one course in the College of Education and Human Development involving philosophical perspectives on education and human flourishing, and two interdisciplinary courses housed in the Graduate College, which are focused on fundamental dimensions of learning and decision-making that impact efforts to advance improving quality of life for all. In addition, each student will take one elective course from an extensive list of existing cross-college options, typically aligned with each student’s area of specialization and graduate study (if they are pursuing an advanced degree). Students will also complete a one credit hour interdisciplinary problem-posing seminar, where they will collaborate in generating, refining, and incubating proposals for sustainability oriented, action research projects. The program culminates in completion of a three credit hour action research-oriented practicum (which for some students will inform or align with ongoing masters or Ph.D. program studies and research). Admission is open to students currently enrolled in graduate programs across the university that meet the requirements below. In addition, post-baccalaureate students unaffiliated with a graduate program may be admitted if they meet the requirements below. 1. Bachelor’s degree from an accredited institution. 2. A copy of the applicant’s undergraduate transcript. 3a. If currently enrolled in an accredited WMU graduate degree program, the applicant must have a letter of support from their advisor. 3b. If not currently enrolled in an accredited WMU graduate degree program, the applicant must have a letter of support from their employer or someone familiar with their academic or work background. 4. A concise written “statement of purpose” (250 words or less) that outlines the applicant’s interest in sustainability and how this certificate’s learning outcomes advance their career goals. 5. Congruence of applicant’s written “statement of purpose” with the parameters of this degree program.